What is "Taste of the Nations"? "Taste of the Nations" is an annual summertime event at New Life Community Church. We come together to celebrate Jesus Christ and the diversity of both New Life and our surrounding Aurora community. Join us for games, face painting, live music performances, and (of course) food from different countries including Mexico, the Philippines, Korea, Ethiopia, and many more! Check out the videos below to see more. New Life Community Church is home to a diverse community of people from all over the world! Read more about New Life's ethnic ministries here. Enjoy live music, singing , and dancing from various cultures throughout the evening on the main stage. The artists consider it a privilege to glorify God with their gifts. Just grab a plate and take a sample--the food is free! 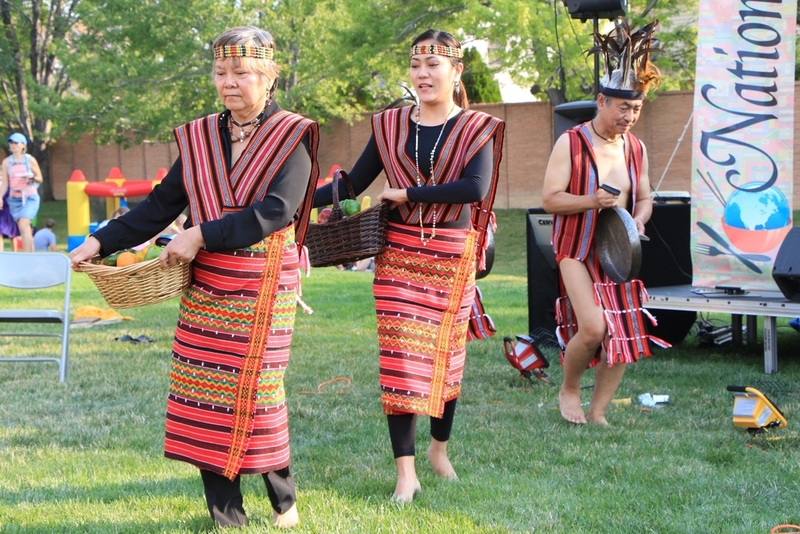 The Asian Auroran group includes 4,110 people of Korean descent and 3,119 of Filipino descent. When Jesus walked this earth, he clearly stated one of his great desires for his church: "My house will be called a house of prayer for all nations" (Mark 11:7). Recognizing our Lord's heart for his church, it is our desire--as a movement of ministries meeting at New Life-- to minister together in his name in our city and consider it a privilege to share Christ's love and hope with all peoples living here. Taste of the Nations is an annual community celebration hosted by the different ethnic congregations of New Life Community Church in Aurora Colorado. This event was in August of 2016. Taste of the Nations, August 2015, community celebration hosted by the different ethnic congregations of New Life Community Church in Aurora Colorado.